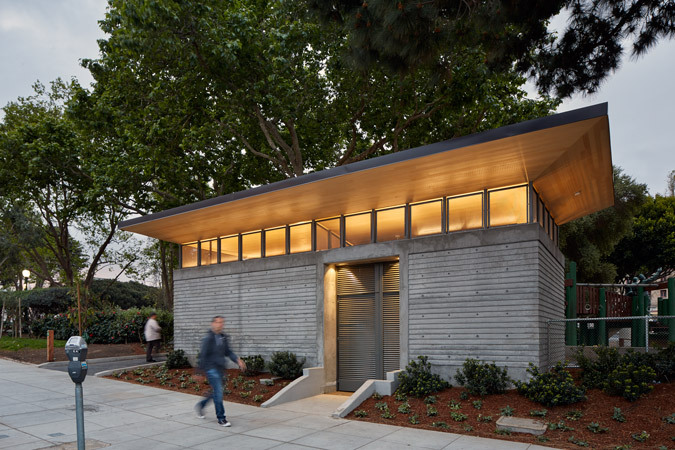 In the historic park at Washington Square, we designed a new restroom building to replace a building which was too small and past its useful life. 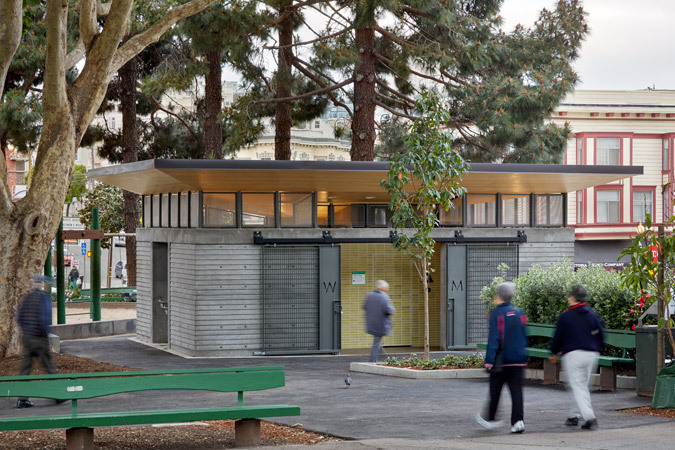 The new structure includes restrooms and indoor and outdoor storage for Rec & Park maintenance. 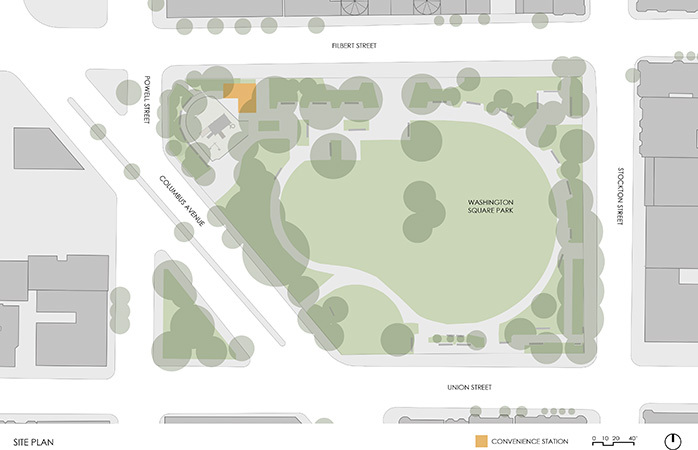 The building is sited among large trees in the northwest corner of the park. The recessed entry provides easy and visible access. Steel gates close off the recessed entry when the facility is closed. We decided to use a durable material: concrete, but to give it a scale and texture that relates to the context hence the shiplap form of the walls. 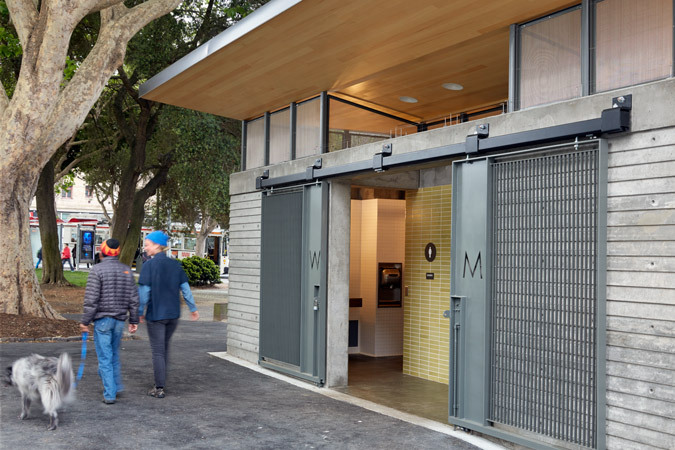 The screened clerestory above provides natural ventilation and daylight for the building. The lighting below the clerestory glows on all sides of the building, providing safety/visibility in the evening hours. 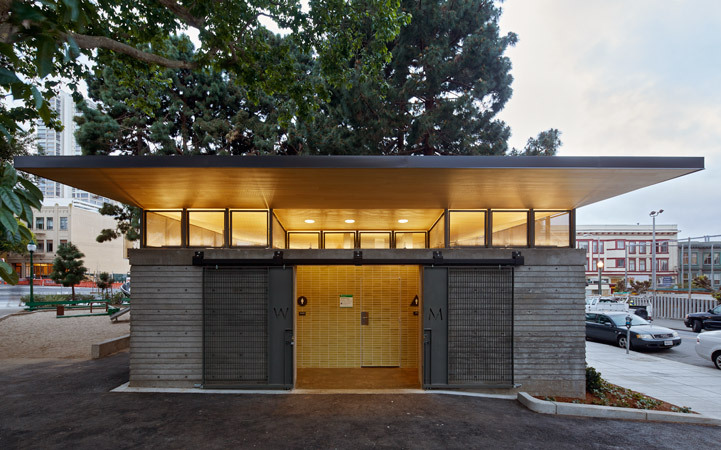 We used tile to add color and contrast to the concrete; for the soffit cedar to give the building warmth but kept it out of reach. We created an open entry that offers privacy at the same time. 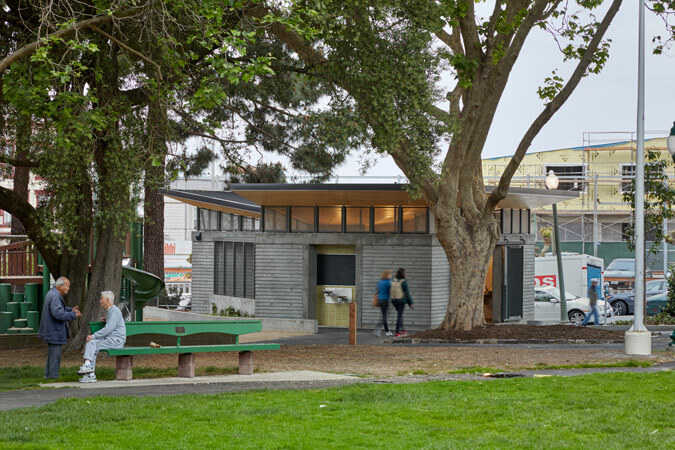 We wanted a safe and welcoming structure that was attractive and sturdy but does not call too much attention to itself.